Stella Reddick Wright of Ray City, Ga. In the 1930s Stella Wright lived with her family in Rays Mill (nka Ray City), GA. Stella lived at the south end of Park Street, way out past Arrin Guthrie’s home, at a place on Cat Creek known as Rock Bottom. Stella was known around the region as a seeress and a healer. One Sunday afternoon in the late 1930s, the Guthrie family were all gathered on their front porch socializing and sharing the events of the day. A car pulled up with some people who were looking for directions; they had a woman with them who was ill and wanted to see Stella Wright. One of the Guthrie grandchildren hopped in the car to show them the way to Stella’s place. At the far end of the dirt road, they took a little trail down to Cat Creek to a cabin where Stella was found. They all entered the cabin, which was devoid of furniture except for a single chair in the center of the room. Stella sat the sick woman in the chair and began massaging her shoulders and back. Shortly, the woman emitted a series of enormously loud belches and that was how Stella “healed” her. It is so wonderful to see this here. Stella Wright was my grandmother, after whom I am named. My mother Lela Wright Solomon, and her sisters and brothers all grew up and lived in Ray city. We still have much family and heritage there. I would also like to read more. 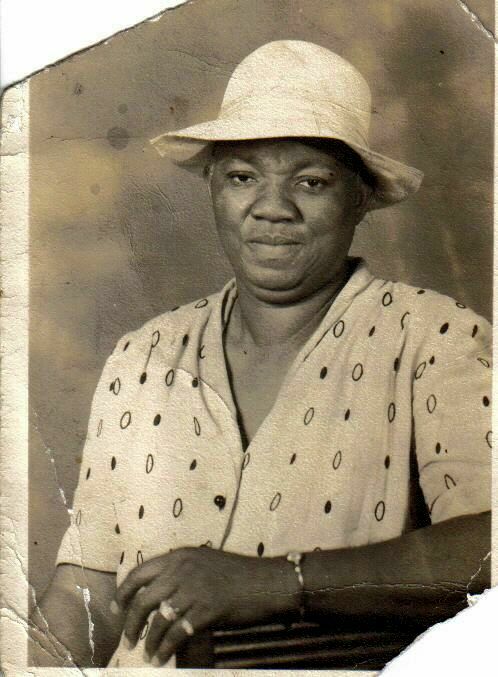 Graandmother’s was known as far as Miami Fla. for her work. Very interesting. Who posted? My name is Barbara. Molly Hall was married to our first cousin McGowan. We are having our family reunion in the future. I would like for you come and any other McGowans’s family. Email me at this address. Interesting article. Estella Wright’s granddaughter. Her photo has such a calming representation. I would love to have known more about her as a person. Grandmother was very wise and her mind sharp as a razor. For instance. I asked her for some money once. She placed a quarter in my hand closed it and told me not to tell anyone. I couldn’t wait to go and brag to the other Grand kids about it. I ran back to the kids open my hand and said”Look what Grandma gave me!” The kids would reply so she gave me fifty cents;) She would bring groceries or money for groceries when we were out. She open a store for us once, which went out of business, because she would always give us candy if we didn’t have money. Our parents had private white tutors which were ran out of town. J.H. received his first tractor from her. I am sure if you check with other Grands around my age or older, you will find many more stories like these. Our Grandparents were great people .